If you’re a non-shopper like me, the last thing you want to do is spend lots of time browsing stores or looking through ad circulars to find the best price. I tend to be the kind of shopper who finds what he likes, decides if the price is fair (or not), and makes the decision to buy or not to buy. The sad reality for shoppers like me, though, is we often pay too much for our purchases. By exercising a little patience and planning ahead, we can save a lot of money through the process of shopping for the best price. Grocery and retail stores are a great example. When I see something on sale, I get excited because it looks like a good deal. It’s a specified percent savings over the normal price, so I think I’m really doing well. But just because a store advertises the “best prices,” that doesn’t mean you’re getting the best deal. You can often get a better deal by being patient, watching for sales, and sometimes just by asking for it. Often the generic brand is still cheaper than the name brand’s sale price (and it’s usually exactly the same product). And sometimes the sale ad at one store is more expensive than the price at a different store. Being aware of the prices at various stores helps you avoid overspending. I’ve also been guilty in the past of calling one contractor for a job, getting an estimate from them, and hiring them for the job. It’s quick and easy to hire the first person you talk to but it’s not always the best deal. If I’m smart and not in a hurry, I’m going to shop around and get estimates from at least three different contractors for any job I’m planning. I also let them know I’m shopping for the best quality at the best price. It lets them know they’re not the only game in town. It also gives me a better chance of saving some money. Being willing to pay in cash or to be flexible with my timeline can also save a significant amount of money. It’s not the quickest method and it requires planning ahead but the savings can be well worth the extra time spent. It’s a natural tendency to be loyal to a service provider. I’ve been guilty of it myself. But just because you’ve been the same insurance company for years isn’t necessarily a good reason to stick with them. That company may or may not be representing your best interests anymore. It never hurts to have your policies reviewed by a competent third party to make sure you have the right coverage at competitive rates. Often you can get car insurance quotes online to get a good idea of how competitive your current insurance company’s rates are. As with contractors and other service providers, I think you should compare at least three providers to get a fair assessment of your options. Don’t lose sight of the service component though. Sometimes the cheapest insurance policy is cheap because the coverage is lacking. It doesn’t do you any good to buy a cheaper umbrella if it leaks water. Your life insurance cover policy is no different. This is an important way to protect your family so they have a source of income to replace yours if you die unexpectedly. Once again it’s important to shop around for the best rates. But you also have to pay attention to the quality of your policy. As with other types of insurance, be sure to understand what you are purchasing and why. Make sure you meet with insurance agents who have the heart of a teacher, and get a second opinion if needed. 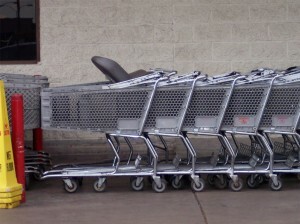 What kind of shopper are you? Do you take the first option you find to save time? Or do you take your time to save money?